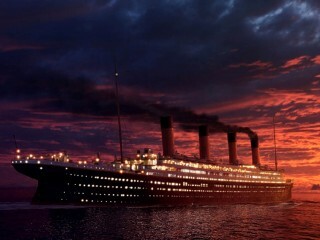 Perhaps the Titanic‘s popularity endures precisely because of the age it represents. Regardless of the reality, the popular perception of the turn of the century is idyllic, optimistic almost to the point of naivete. Maybe there was an outrageous class divide (fueled by corporate corruption) and a healthy share of imperialism coming from both America and Britain, and the powder keg that would erupt into World War I did not develop overnight. But there must have been something truly astonishing in the air. In the decade leading up to Titanic‘s launch, man learned to fly. Guglielmo Marconi had proven wireless telegraphy possible, revolutionizing how people communicate across vast distances. (Indeed, this technology would prove instrumental in rescuing Titanic‘s survivors. Britain’s postmaster general said in the wake of the tragedy: “Those who have been saved, have been saved through one man, Mr. Marconi…and his marvelous invention.”) Albert Einstein published many of his most famous theories, including general relativity. The Ford Motor Company introduced both the Model A and Model T. Motion pictures achieved their first major success with the twelve-minute film “The Great Train Robbery.” Audio playback, batteries, lighting, and climate control all surged forward. I suppose society must be in an optimistic place in order to build an enormous vessel of steel (displacing in excess of 50,000 tons), fill it with the most lavish furnishings available at the time, equip it to sail with more than 2,000 crew and passengers aboard, and call it “unsinkable”. But contemporaries of the great ship could hardly be blamed for thinking they lived in an age of marvels. (In fairness, Titanic had only been described, before her sinking, as virtually unsinkable or “designed to be unsinkable,” though the latter begs the question why it took shipbuilders so long to decide sinking was a bad thing. In any case, she was not described – publicly, anyway – as flatly unsinkable until after that assertion had proven quite false.) The very idea of the Titanic must have seemed absolutely plausible to anyone paying the least attention to the march of progress. If we could coax a bunch of metal and canvas to stay aloft with a person or two aboard – in thin air! – then surely we must’ve got this sailing thing licked. We’ve been doing it for centuries, and the ocean seems awfully supportive compared to the sky. So the disaster of Titanic‘s maiden voyage must have been a wake-up call. We are not masters of the universe. There is still danger in the world. We’ve never un-learned that lesson, for better or worse. How can we, today, even begin to understand that perspective? The modern world was forged in the fires of two World Wars and an even longer Cold War, with the realization that every great thing mankind did was, sooner or later, supposed to be a weapon. Enemies on the other side of the world could hurt us. Globalization did not make war obsolete, like it might’ve seemed at the turn of the century; globalization made war ubiquitous. And a post-9/11 world knows that better than anyone, probably. We are highly cynical, highly credulous people, relative to the passengers of Titanic. There’s always a catch, always a danger. Have you ever noticed that, despite its presence in the collective consciousness (especially at times like this), Titanic actually appears pretty rarely in pop culture? It’s easy to point to the big examples: a couple movies, a book or two. And they all deal with impending doom. (Except Ghostbusters II, which dealt with it making port anyway.) That’s inescapable in general, and we just fixate on it anyway. We assume tragedy and call it “drama.” Games are no exception. In a medium that harvests history for each and every great set piece like there’s been a set piece famine for the last decade, Titanic scarcely ever appears. When it does, it’s usually just referenced or alluded to, and it’s lucky if that reference is major – as with Starship Titanic, which features a massive starliner in a similar situation. I’ve noticed one or two hidden object games that give Titanic some kind of title credit. And then there’s Titanic: Adventure Out of Time from 1996. This game may well have gotten me thinking down this path in the first place, though it’s hard to say for sure. This game was built on the idea that Titanic was a historical lynchpin. While every other appearance of the ill-fated ship in pop culture seem fixated only on its demise, Adventure Out of Time fixed on the (completely fictional) consequences of it. All endings apparently include angry spirits trying to get in the lifeboats. Whatever can be said of the game (and much can), Adventure Out of Time tried to put the player in that place and time. 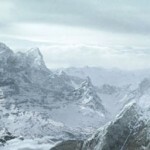 If the open-ended gameplay was not open-ended enough, there was an exploration mode that allowed players to just wander the ship. The supporting cast, semi-animated with a uniformly ghostly pallor (whether intentional or not I don’t know), ran the gamut of nationalities and stations: Europeans, Americans, soldiers, psychics, con men, crew. But the ship’s population is sparse, the random stand-ins stiff and moribund, everyone pale. I’ve seen this complaint leveled at the game from other quarters. Yet, since it’s been more than a decade since I last played it, I can’t help but wonder if the sense of impending doom I felt throughout was an accident, or built in by the designers, or something I brought with me, unable to view Titanic as anything but a disaster. Sometimes I wonder why that is. Is that my approach to the legacy of the Titanic – a vessel of which I’ve been extremely fond my entire life – or to gaming? Is tragedy a necessary component to games – to us? And if so – why? Because I’ll tell you this: I wouldn’t mind being able to look upon our works and be in awe rather than despair. Telegraph the author at dix(at)tap-repeatedly.com! Very nice, thoughtful editorial, Brandon. I admit I’ve never given Titanic much thought, beyond reflecting on the fact that it didn’t just sink, it sank on its maiden voyage – almost like there really is an anti-hubris mechanism beyond the clouds. It sort of gives one pause to consider that probably every innovation since that one has started life as a weapon. 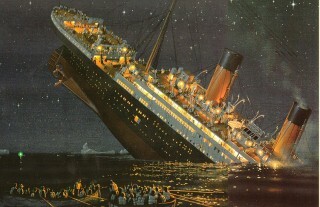 I never pondered the idea that Titanic represented a “last” in that way, but I think you might be right. Ah, Titanic: Adventure Out of Time. My favorite project as a beta tester. Back in 1996, GTE was looking for folks to quickly play Titanic and Timelapse to make sure there were no showstopping bugs. This was the moment when Microsoft was moving users from Win 3.1 to Win 95 and no game developer wanted to make the wrong choice. (Like, say, the folks behind Panic in the Park who chose 3.1 in 1995.) So, when possible, games were developed with an eye to making sure they worked on both 3.1 and 95. I was chosen to help with the test because I was running 3.1 at the time. And were there ever surprises. For example, Titanic was designed to work with both standard audio and video and, if you were on the cutting edge, DirectX. Whatever that was. The far flung beta team would log in to a chat session every couple days and share what had been learned. Slowly, one bug at time, the game was cleaned up enough for commercial release. The payment for identifying the bugs in Titanic was a boxed copy of the finished product. Your reflections, Brandon, inspired me to see if the game still holds up. While the original Cyberflix release doesn’t work on XP Pro SP3, it does work on XP Media Center Edition 2005. And no sooner was I on board the fated ship than all the fond memories of the hours of play came rushing back. Remember the steward? And his amazing left eyebrow? As for the sense of impending doom you felt, well, one starts the story knowing the ship didn’t make it. That said, can the player, in the role of secret agent, make less of a botch of the mission this time around? And maybe, just maybe, change history? I found the game’s design quite deliberately put me on edge and kept me there. When things are going smoothly and the Titanic‘s making good time, it’s hard not to wonder when things are going to start going wrong. And once they start going wrong, it’s hard not to freak out and run for the lifeboats. So, thanks for the nudge! Going back again was well worth it. It’s one of those games I’ve wanted to go back to for a long time. I still have my copy, probably, but it was a Mac version, and I don’t have a Mac anymore. (Two other favorites, TIE Fighter and The Dig, are in a similar state of platform-induced limbo in my CD-ROM collection.) It’s good to know it’s still kinda cool. Just looking for images and things for this article brought back all sorts of memories. I loaded up my copy last night around midnight. It’s definitely still kinda cool. Remember the bomb? The smokestack maze? The necklace(s)? Great fun! Fun fact: though I heard about the bomb later, I didn’t find it on my first playthrough! Which in retrospect is one of the things I really like about that game. I also remember the necklaces vividly, and being forced to give up the genuine one during the sinking in order to hold on to the Rubaiyat. Which was a problem for the world later, since the end result of my game was no WWII, but the Soviet Union sweeping through Europe in the 50s. I loved Titanic: Adventure Out of Time. I had read the book A Night to Remember when I was 12 and was rivited by the story. So I immediately wanted to play the game. The game is one of the two best adventure games I have played that tried to make real time meaningful (the other was The Last Express). If you miss talking to so and so now, you don’t have another chance etc etc. Both of these games were great fun and I had to go retry stuff at times. I have replayed both of them and still have them. They sit on my adventure game shelf of honor which I have although I don’t play adventure games any more. They were where I started and I still love many of them. mrlipid, I know I got three different endings with Titanic but it sounds like there are more. I will have to give your link a look to see what I missed. I believe there are 8 endings (9, I suppose, if you count the “why didn’t you get in a lifeboat, moron?” ending). Basically, there’s an ending for each permutation of which of the three game critical items (the necklace/Rubaiyat, the notebook, and the painting) you get off the ship, including getting them all (the best ending, resulting in a century of unprecedented peace and prosperity) or none (resulting in nothing changing). I haven’t looked through your link yet, though, mrlipid, so I’ll definitely have to poke around for details I’ve missed and/or forgotten. I’m really struck by the pallor on characters’ faces. As you say, Dix, it could just be bad lighting or no makeup, but if it was intentional (which I’ve decided to believe it was) it’s a very powerful effect. You’re talking to dead people. I remember when this game came out but never played it. Looks like I missed out. They also move very awkwardly. The animations seem to be a sequence of still images (it’s definitely not video). I’m not so forgiving of the designers to assume this was an intentional effect (besides, you can verify through dialogue that some of the supporting cast do escape the ship). I think it’s probably the result of another attempt to work out what to do with such characters in a game like this, when Quicktime and FMV was used but sometimes prohibitive and had its issues. 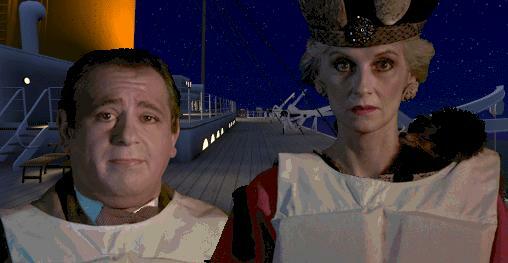 When I first started playing Titanic, I was not impressed with, as Cyberflix called them, the cyberpuppets. They were too much like limited two dimensional animation. Too jerky and too flat. And the full body work was even worse. Then, as I was drawn into the story, the unreality didn’t matter as much. The voice work was decent and I wondered what would happen next. Then, as the boat began to sink, I was glad the cyberpuppets weren’t more real. It was tough enough with them being as artificial as they were. They weren’t all going to make it and that was heartbreaking.